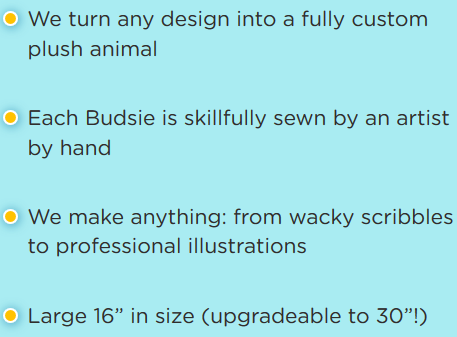 I think this is such a great idea to let kids actually create a stuffed toy from something they draw their self or have someone draw for them while they describe what they want. 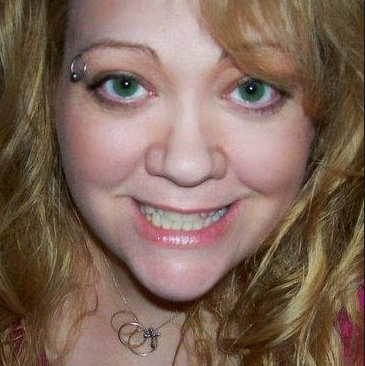 I also like that they can be made from a photograph as well. I love that they partner with wonderful organizations to give back to the community. I think these would make wonderful gifts. 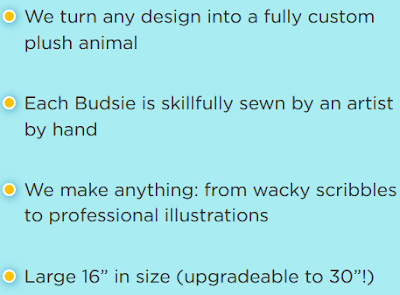 I think it would be a great surprise to have your child draw their own animal and then have the parent have it made into the stuffed animal. All along not letting the child know, then one day, their drawing arrives as a stuffed animal! I know our little ones would love that! Or you can have your child participate through the 1, 2, 3 step process. Either way I think it is super fun and a great way to see a child's imagination come to life.